Manna was founded in Tuscaloosa in 1980 by Frances Self Drennen and Earle Drennen to offer our community the best selection of clean, natural foods and quality nutritional supplements available. Our deli serves lunch daily. Please take a look at the menu and come join us. We look forward to seeing you! ‐ n. Any needed sustenance, help or benefit that a person receives unexpectedly. 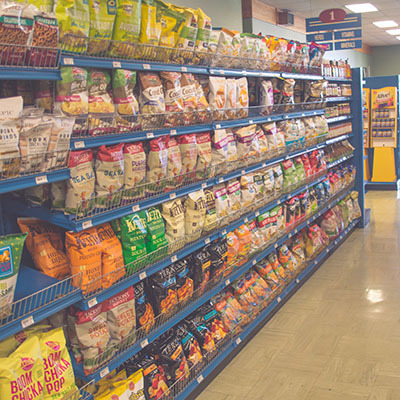 With a commitment to attentive and courteous customer service, Manna serves as a resource for information on natural health and dietary concerns through our knowledgeable staff and wide variety of literature available in-store. 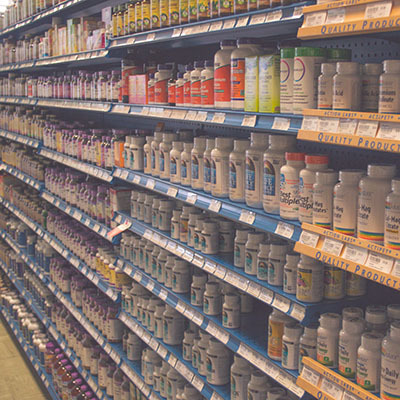 We offer a large selection of natural, organic, and specialty foods and supplements. We support local, seasonal produce and local packaged grocery when available. Simply put, we are dedicated to the health and well-being of our customers and our community. 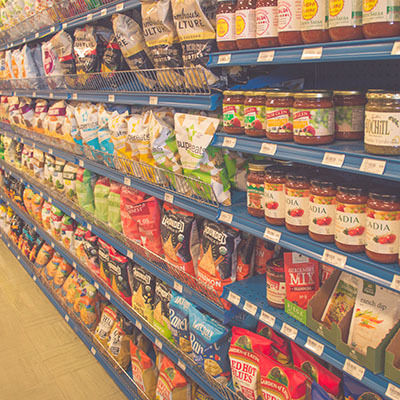 We hope you'll find the products you need in the aisles of Manna. If not, ask us! We're customer oriented. Scroll through the slides to see some of what we have in each department. We are always looking for the right mix of products to satisfy our customers' needs. Manna offers our customers the highest quality vitamins and nutritional supplements available. We feature a wide variety of products from industry leading brands such as Charlotte's Web Hemp Oil, Terry Naturally, Bluebonnet, Enzymedica, Garden of Life, Solgar, Solaray, Natural Factors, Herbs Etc, and many others. These companies stand behind the quality and purity of their products, and so do we. Need something we don't carry? We're happy to special order for you any product available to us. Manna's produce department, while small, offers exclusively USDA Certified Organic produce. No pesky GMO's, fertilizers, or pesticides here. We also partner with local farmers. Spencer Farms delivers microgreens weekly, and Snows Bend Farm in Coker Alabama brings us USDA Organic produce each week. We love our farmers, they're awesome. We carry clean, natural and organic grocery items. From bulk grains and spices to chips and snacks, natural cleaning supplies to frozen entrees, you'll be sure to find the natural products you want and need. 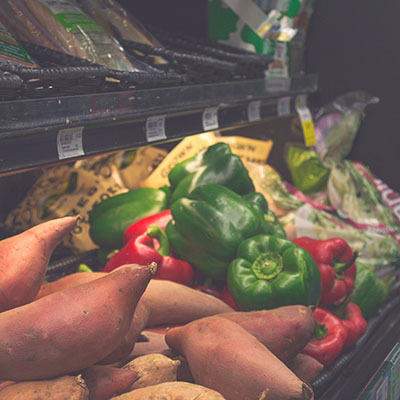 We also proudly offer locally sourced grocery items such as Hewitt honey, McEwen & Sons grits and cornmeal, Alabama Sunshine hot sauces, Tea Town Teas, and Belle Chevre artisan goat cheeses. We welcome customer suggestions. Let us know what more you'd like to see on the shelves at Manna. We offer a large selection of wheat and gluten free groceries. From breads and baking mixes to snacks and deserts and everything in between, we have all that's necessary for a complete wheat and gluten free diet. As with all of our products, we can special order any gluten free product available to us which we do not regularly stock. Featuring an extensive assortment of natural soaps, shampoos, cosmetics, and beauty aids, Manna is your best source of products for cleaning, cleansing, and maintaining your appearance. 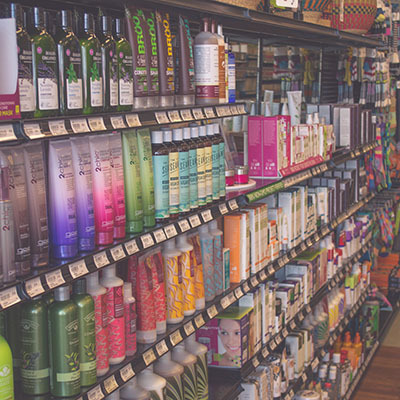 We carry products from leading brands such as Alaffia, Andalou, Badger, Devita, Giovanni, Nature's Gate, and more. Plus, we have wonderful, locally made natural soaps from The Left Hand Soap Company. Whether it's for Christmas, birthdays, Mother's Day, or any other gift-giving occasion, Manna has something for you. Consider Becky Bolton's stunning hand made pottery, finely-tuned Woodstock wind chimes, Bolgatanga market baskets, or Laurel Bassett's beautiful handmade jewelry, all of which make perfect, thoughtful gifts. If you can't decide, we have Manna gift certificates in any amount you choose. Free gift-wrapping is available upon request. Real Food - Made Right Here - for your enjoyment and nourishment! 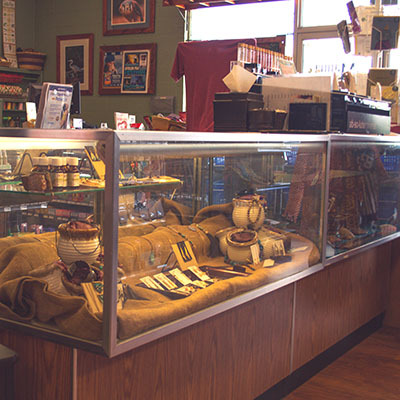 At Manna Grocery's in-house deli, we specialize in creating real food with a great taste. We've found that using the freshest ingredients combined with our own unique recipes creates tantalizing gourmet and natural lunch and dinner options. Although Manna's kitchen is not a gluten-free environment, we do offer some options for those who are gluten sensitive. Every day our deli case is stocked with delicious entrees, sandwiches, wraps, salads, and appetizers for you to take home or enjoy in our in-store dining area. Whether it's our famous Friday grilled salmon, signature paninis, pita pizzas, or any number of specialty dishes and menu staples, Manna's deli has something to satisfy your appetite. The deli is open between 11:00 AM and 2:30 PM Monday through Saturday, or stop by any time and grab something from our self-serve deli case. Looking for dinner? Call in your dinner-to-go order before 2:30. We'll have it ready for you to pick up anytime before we close at 7:00 PM. All you'll have to do is heat and serve! Manna's Deli serves food from 11:00 am to 2:30 pm, Monday through Saturday. Prepared on whole wheat pita bread with Manna's cheese blend and deliciously different sauces. Prepared on organic Dave's Killer Bread, baked fresh in Tuscaloosa. Served on organic sprouted whole wheat buns with organic fixings. Prepared on organic sprouted whole wheat tortillas with a base of organic black beans. Made fresh in house with organic ingredients. Unique flavors to quench your thirst. A little something extra to finish out your meal. The best grilled sandwich you'll ever have on your choice of ciabatta bread or Dave's Killer Bread. Natural cakes and pies served with organic home made whipped cream. Yum! A little bit of this, a little more of that, just to your liking.